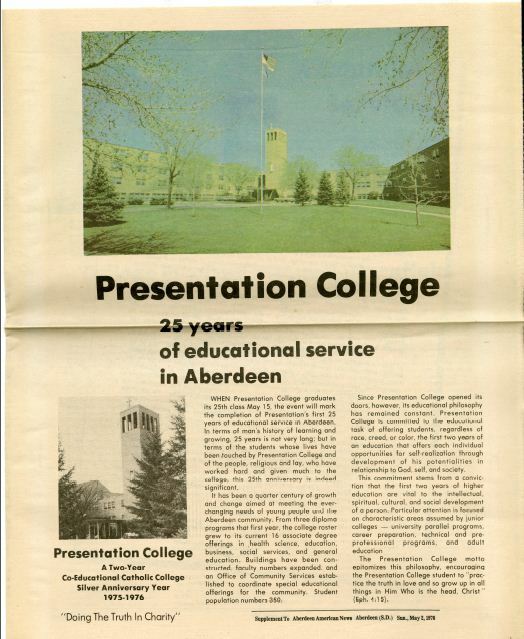 Presentation College has long been a fixture in Aberdeen, and the collection boasts quite a few items related to this institution, including a plethora of yearbooks that can be viewed at the Williams Library or on the archives site. Presentation College itself began in 1951, however, it has roots going back to 1922 when the Right Reverend J.M. Brady founded Notre Dame Junior College in Mitchell, SD. It was the first college to be operated by a Catholic parish in the United States, and for three decades it flourished until enrollment became too large for its current location. The decision was then made to move the college to Aberdeen, so Reverend Brady gave sponsorship to the Presentation Sisters who had staffed the college since its beginning. 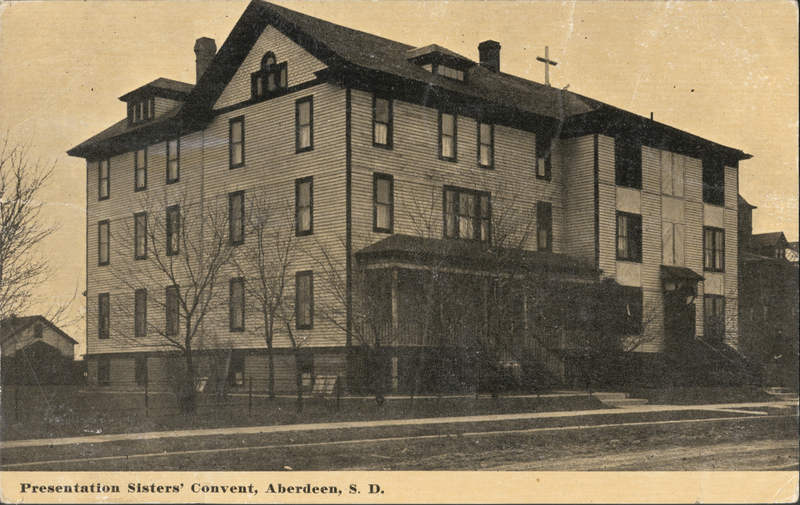 Black and white postcard showing the Presentation Sisters Convent.